Rural Energy Agency (REA) is an Autonomous Body under the Ministry of Energy and Minerals of the United Republic of Tanzania. Its main role is to promote and facilitate improved access to modern energy services in rural areas of Mainland Tanzania. REA became operational in October 2007. REA Vision: Transformation of rural livelihoods through provision of modern energy services. REA Mission: To promote and facilitate availability and access to modern energy services in rural Mainland Tanzania. Masters of Science either in Energy Development Engineering, Project Management or other related fields. Must have experience in energy sector and at least ten (10) years relevant working experience of which five (5) must be in a managerial position. Strong leadership and interpersonal skills with the ability to manage team work. Masters degree in Mass Communication or equivalent qualification from a recognized University/institution with at least eight (8) years relevant working experience of which three (3) must be in a senior position. 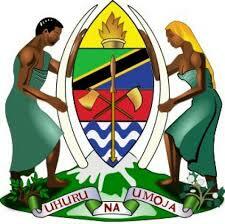 Excellent writing & Communication skills, Fluency in written and spoken English and Swahili. xiv. Performs any other duties as may be assigned by the supervisor. Master Degree either in Public Administration, Human Resources Management or other related fields with at least ten (10) years relevant work experience of which five (5) must be in a managerial position in a reputable organization. Masters Degree either in engineering (energy related) or related education and training (such as electrical, hydro or industrial engineering, or construction management,) with at least ten (10) years of relevant experience in energy projects of which five (5) must be in a managerial position. Familiarity with engineering standards for energy projects in Tanzania and Computer literacy will be required.